First, cut the spring onion, garlic cloves and the 25 g of ginger into thin strips. Set aside. 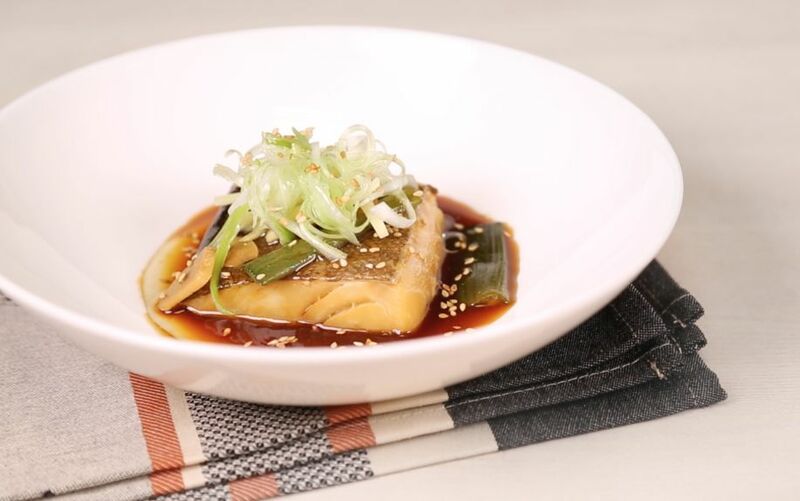 Next, place the cod loin in a vacuum bag, together with the soy sauce, rice wine, sesame oil, white pepper and the 10 g of ginger. Seal the mixture with a vacuum of 99% and place the bag in the SmartVide. Cook for 30 minutes at 65ºC (149ºF). Meanwhile, in a frying pan, sauté the previously sliced 25 g of ginger, 50 g of spring onion and garlic cloves. Set aside. Finally, open the bag with the cod and serve on a plate with the resulting sauce. Place the sautéed spring onion, garlic and ginger on top… and enjoy! In this recipe, thanks to the vacuum cooking technique, we ensure that a product as delicate as cod will always have an unbeatable texture and flavor. In addition, all the aromas of the products are trapped inside the bag and are thus preserved. This technique also allows us to keep bags with the cod in the storage chamber, reserved and ready to be cooked. This helps save time during service.